Mr. 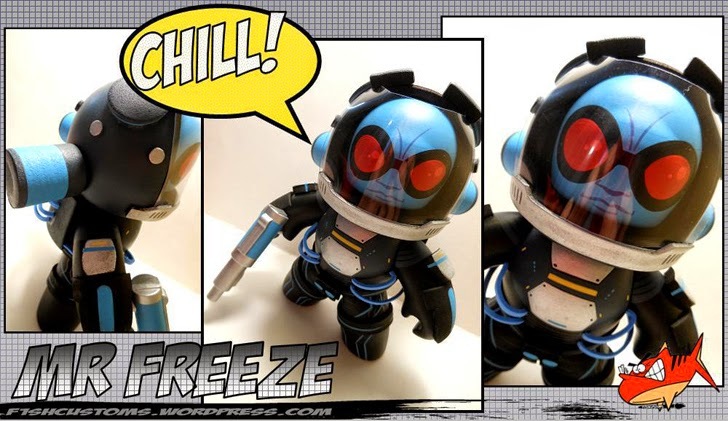 Freeze is a villain and enemy of Batman, he first appeared in DC Comics as Mr. Zero in Batman #121, February 1959. Actor Arnold Schwarzenegger portrayed the villain in the 1997 movie Batman & Robin. The Mighty Mugg above portrays him in all his evilness.